We’re having another “heat wave” (Seattle doesn’t really know what to do when it’s 80+ degrees (except celebrate perhaps). Get to 90+ though and we start melting). With no air conditioning, we try not to cook and bake much, instead we head to the lake for picnic dinners or grill on our deck. 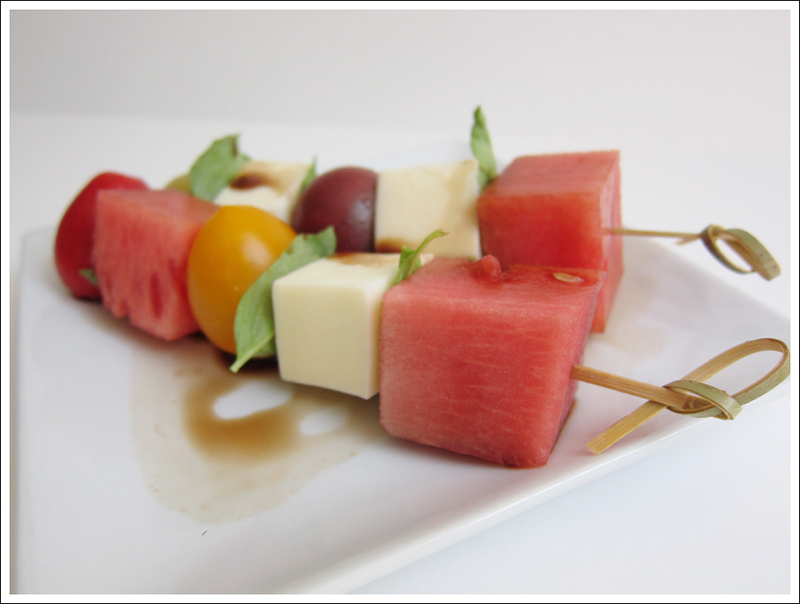 These skewers require no grilling or cooking however and are totally summer, totally simple, and totally delicious. We had these at a wedding few weeks ago in California. It was the perfect appetizer. 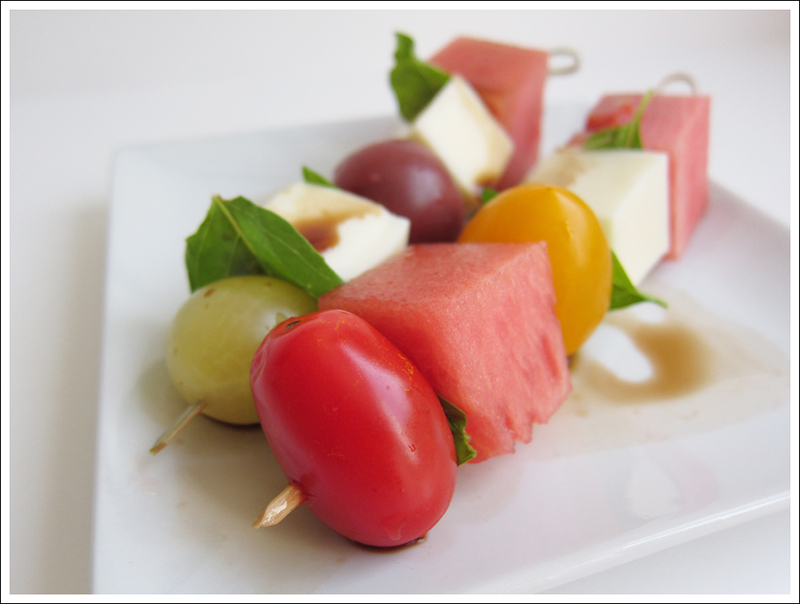 You skewer cherry tomatoes, cubed mozzarella, cubed watermelon and fresh basil leaves. 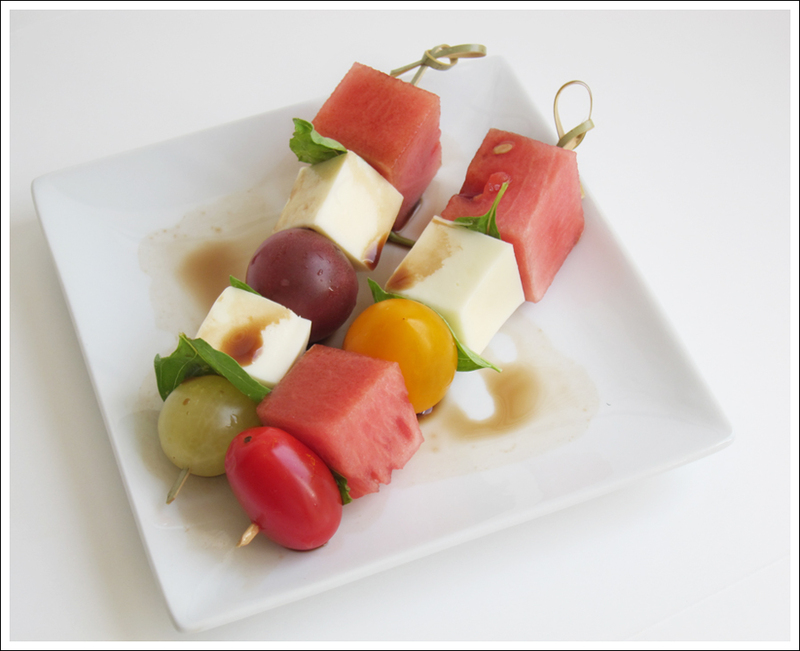 Then drizzle with your favorite balsamic vinaigrette and serve! So easy! This entry was posted in Food, Gluten Free and tagged appetizer, basil, dinner, fruit, garden party, gluten-free, lunch, mozzarella, party, protein, raw, summer, tomatoes, vegetarian, watermelon on July 21, 2015 by ebchr.